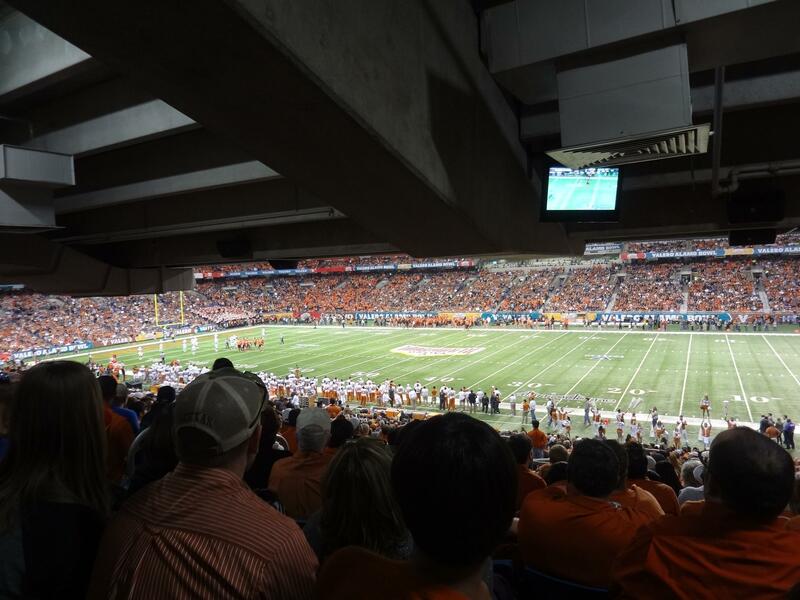 Giving you the best straight away views of the field at Alamodome from every level of seating. Sections 111, 112, 113 and 133 are where you will find some of the most ideal viewing angles to the very center of midfield, allowing you to sit comfortably without needing a big head turn to follow the action. To search tickets in these seats, select an event and apply the filter labeled Midfield. In high demand from fans cheering on the away team at Alamodome, designated visitor seating can be found in Sections 138 and 139. The UTSA/Commanders sideline is located just in front of Sections 111, 112 and 113 at Alamodome. UTSA and Commanders fans tend to crowd the sections directly behind the sideline, which creates a great atmosphere for home-town fans. The closer to the 50 yardline you are, the closer you'll be to a majority of the players. For the best views of the field, avoid the first 10-15 rows directly behind the players. They may not obstruct the field in front of you, but as the action moves end-to-end, they'll probably limit your siteline to the goal line. To search tickets in these seats, select an event and apply the filter labeled Behind the Bench. Are there obstructed views in Section 126 Row 32 at the Alamodome? Is the view from section 115 row 33 at the Alamodome blocked by cement?